Katrina's Kreative Heart: Emboss Resist and Some Bubble Wrap! Well, I played around with the emboss resist technique and tried it with the bubble wrap. I found the idea on Dawn Griffith's YouTube channel and thought it was a great idea...and it was so much fun to do....so much so, that we did this class in our June card making class last week and I think everyone enjoyed it once they got passed the urge to pop the bubble wrap. Who doesn't love to pop bubble wrap? I know I do...it takes great restraint to save any to use it in my stamping projects. 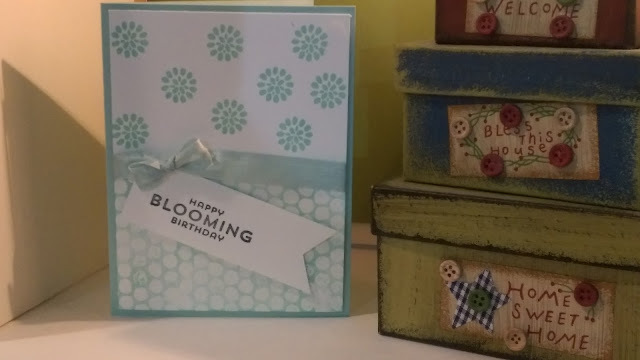 Have you ever received an order direct from Stampin' Up!? OOOOH MY GOSH! They use HUGE bubble bubble wrap for packing material instead of those annoying foam beads that go all over and stick to you and anything in its path. But talk about fun to pop! Of course my little dog, Tucker doesn't care much for it...I just can't resist (get it...resist...as in emboss resist!) Ok, so I'm not much of a comedienne....but I try lol Anyway, try this technique for your self. I guarantee you won't be disappointed...it's soooo much fun and when you get all done you can POP the bubble wrap!